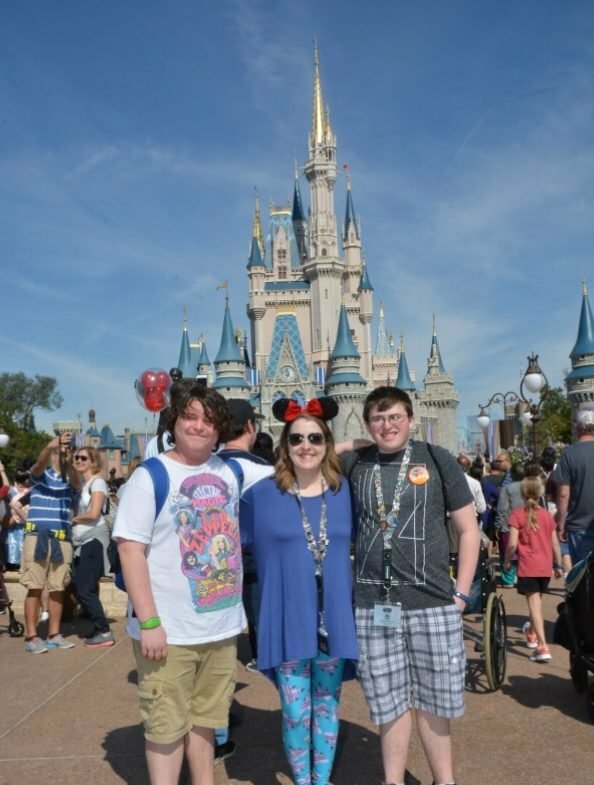 We have been fortunate to get to go to Disney a few times and so I thought it would be nice to do a post on Money Saving Disney Tips in Orlando for those of you who might be planning a future trip. Always remember to start at the back of the park and work your way forward.You will find the lines are not as long and by the time you are worn out an ready to go home you will be at the front of the park. You will want to know that you can save money by buying your tickets all at once. The longer you stay the less you pay.You can expect to pay around $90.53 for a one day ticket and will expire 14 days after you purchase it. For 7 days your cost would be around $284.36. Park Hopper Option: when you add this option it allows you to come and go from the park as you please through any of the 4 parks( Disney Hollywood Studios,Epcot, Magic Kingdom and Animal Kingdom. Get baby’s first haircut at Magic Kingdom and they will give you a set of ears and a certificate! Bring your own towels or rent one for $2 for the day. They also have locker rentals. We love the Pizzafari there where you can get a personal pizza and a ceaser salad. Do the safari in the morning when the animals will be out and more active. Make sure you have a good zoom for pictures. Dinosaur is a great ride but be careful it’s a rough ride. Must Do Rides: Soarin,Spaceship Earth and Test Track. fast Passes run out fast at these rides so get them quick. Try out for the American Idol Experience. I actually made it on stage to perform! Fantasmic Fireworks Display is a must see. Checkout the Universal Studios Meal Deal where you can pay one fee and geta variety of meals at select locations throughout the park. Poncho they are only .99 at Walmart and cost a fortune at the parks. Did you know you can bring your own food and snacks into the park? I recommend doing the Family dining Plan. It saves you a lot of money and you takes a lot of stress of of you. Most walk up eating places will give you free ice water which beats paying almost $3 for bottled water. You will want to bring a comfortable backpack. Even better if it is a rolling one. Check in on FourSquare for awesome deals as you visit each park. 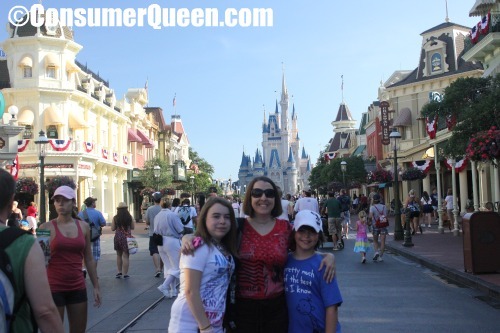 Use apps like Disney Mobile Magic ,Disney World Maps,Wait Watchers,Lines App and Under Cover Tourist. Take advantage of those refillable mugs at the parks. Book your Character Breakfast ahead of time! Especially Cinderella’s Table which takes you inside Cinderella’s castle. Make copies of the back of your park tickets in case you lose them. Buy extra pin backs for Pin Trading. To save on Pin Trading buy the bigger packs which cost you less per pin then just trade for the ones you want. Go to the parks early then go back to the hotel in the afternoon, take a nap and head for another park and dinner. If your staying at a Disney Resort, talk to your concierge. You will be surprised what tickets and shows they can get you. they have “Magic Fingers”. You can also stay at 1 of Disney’s 4 Value Resorts, Pop Century,All Star Sports, All Star Music and All Star Movies.Pop Century does not share a bus with any other resort and is much quieter. Buses: Complimentary transportation is available one hour prior to Disney Theme Park opening times and up to one hour after Disney Theme Park closing times.Additionally, buses operate until 3:00 a.m. from the Downtown Disney area. More info on Transportation. Animal Kingdom only has paper straws so bring your own if your kids do not like them. My kids thought they were weird but used them anyway. Don’t forget to use the Photo pass option for great looking photos and you won’t have to lug that camera around all day. What Disney tips do you have to share? Post them here to the blog!